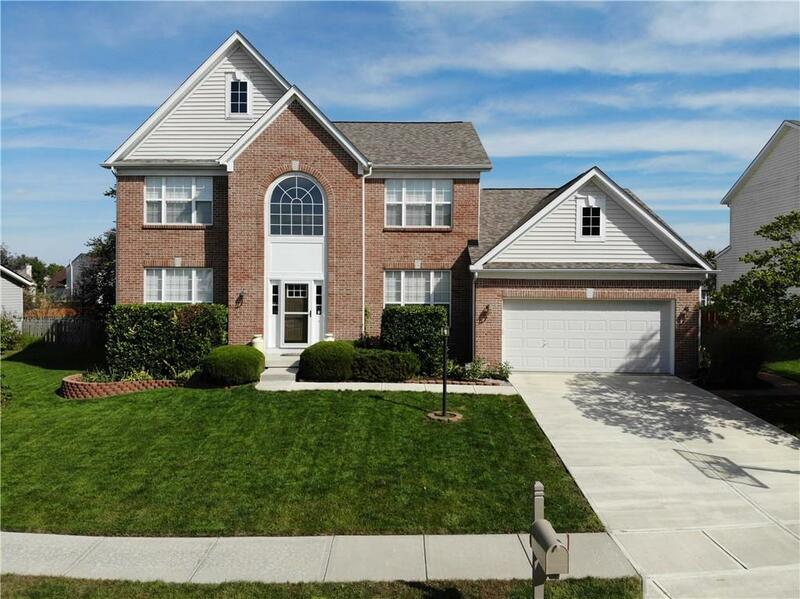 Enter this updated home through a beautiful 2 story foyer. New tile flooring throughout most of the main level. The kitchen boasts an island for extra seating and a new granite countertop and glass tile backsplash. The large living room has a new custom built entertainment unit. Main level master suite has fully renovated master bath and custom shelving in master closet . Upstairs has 3 large bedrooms with a huge bonus room. Basement was recently finished to add in-laws suite with a full bath. The nicely landscaped backyard has a 14x14 deck and stamped patio for entertaining. Home also has a newer roof. You won't want to miss seeing this one in person. Too many updates to list them all.